Haley Lu Richardson joined Elizabeth McGovern on the red carpet for ‘The Chaperone’ New York premiere on Monday (March 25). The spirited pattern of her Prabal Gurung Spring 2019 dress is only one part of its charm that inspires a sense of romanticism. The burnout velvet fabric, chiffon panel – added for fluidity – plus the small design touches like the twist at the front, were a celebration of all things Prabal Gurung; as he’s all about the finer details. 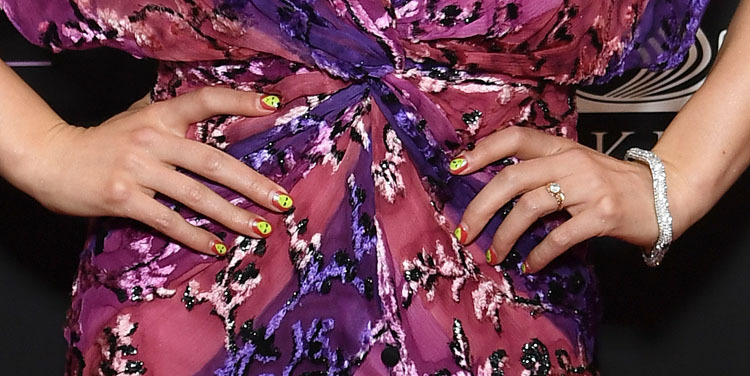 Matchy purple makeup, curious alien-inspired nail art and gold sandals completed her look.